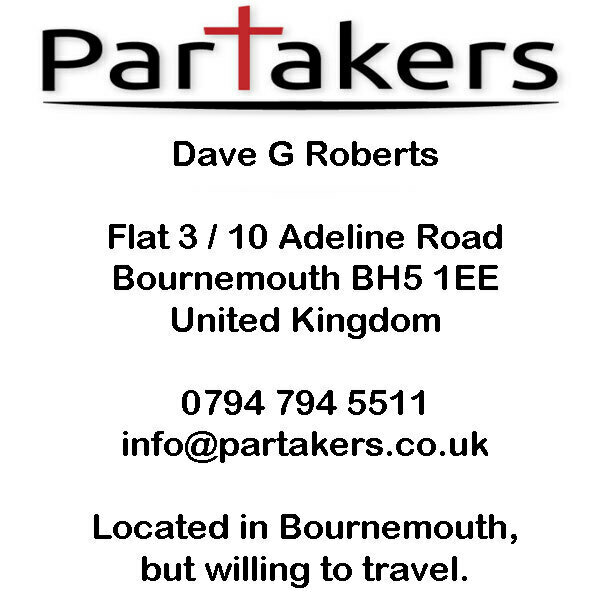 At Partakers we want to help you, particularly if you are a member or pastor of a small church fellowship! We would love to come to you on a Sunday and lead you in an encouraging word from the Bible and with a worship style that best suits you. If you are within about 50 miles of Bournemouth, we will come to you to give you some encouragement! Additionally, if you would like us to come out on the Saturday beforehand to do some evangelism in your town or village, we will... Our mission is not to take you over, but to give you some encouragement and a boost - all to the glory of the God we serve together! For examples of our sermons, please do use the audio player below! Additionally, we also have a number of seminars we can bring to you! 7. Mentoring individuals in their Christian life. Contact us today to see how we can help you! !